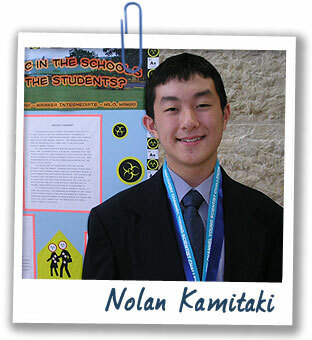 Nolan Kamitaki is a 10th grader from Hilo, Hawaii. In 2006, he beat out two million students from across the country to participate in the Discovery Channel Young Scientist Challenge in Washington, D.C., and won $20,000! You won $20,000 at a science fair. What was your experiment? A lot of arsenic is found in the soil on the eastern side of the Big Island of Hawaii. Scientists think that it’s from herbicides and pesticides used on sugar plantations in the 1940s and ’50s. So I did an experiment to see if the high soil arsenic levels were affecting people in the local schools. I went to five schools and collected four or five soil samples and then took hair samples from teachers and students. I analyzed everything in the lab to see if the samples contained high levels of arsenic. The tests showed that the soils were high in arsenic, and that the students and teachers had been exposed. But the levels were lower in the hair samples, which means the people tested were not suffering from arsenic poisoning.